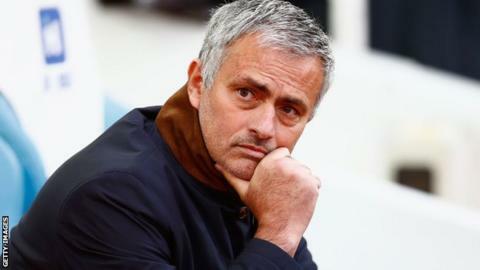 Indonesia want to appoint Jose Mourinho as head coach, according to the country's sports minister. Ranked 185th in the world, Indonesia have been banned from international competition since last year over government interference in football. Sports minister Imam Nahrawi says he has discussed a deal for the ex-Chelsea boss - thought to cost £13m per year - with Indonesian President Joko Widodo. Since being sacked by Chelsea, Mourinho has been linked with Manchester United. The Portuguese, 53, left the Stamford Bridge club in December - seven months after leading them to the Premier League title. He has been tipped to succeed Louis van Gaal as Manchester United manager at the end of this season, although the Dutchman still has another year left on his contract. Nahrawi believes Mourinho would "awaken the fighting spirit" of Indonesia's players, while Erick Thohir, Indonesian Olympics Committee chairman, has suggested interim Chelsea boss Guus Hiddink could also be an option. "We need this as a motivation for our players," Nahrawi added. "Mourinho's arrival would at least add enthusiasm among Indonesian football fans. "Our national team head coach must be a foreigner, accompanied by our local coaches as his assistant." Indonesian officials met Fifa president Gianni Infantino in April and the country's suspension is expected to be considered at the world football governing body's congress this month.